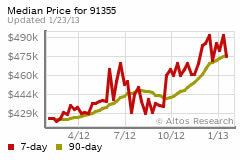 The Valencia Ca real estate market for townhomes and condos is very easy to interpret from the graphs below. It is all in favor of the sellers! Real Estate in Valencia CA market trends follow along the same lines as for single family homes (See Valencia Ca real estate market SFR) through April 5, 2013. For any dates beyond this follow Valencia Real Estate Market Trends SFR where the data is updated on a weekly basis. If there is any different trend emerging you will find it on that page. How’s the Santa Clarita real estate market is a quick overview of the market the whole Santa Clarita Valley is experiencing. For a full report on the changes in Santa Clarita and it’s communities, take a look at the Santa Clarita housing market 2013 report. The update however for this week ending April 5, 2013 is that the Valencia Ca real estate market shows the median price rising dramatically since the beginning of the year. The total inventory is dropping significantly, and the median price has been rising steadily from its low in about May of 2012. While the number of days of a home on the market rose in the early part of the year (winter period perhaps influencing?) this has now also turned around and has dropped dramatically. The Valencia Ca real estate market “heat index” which measures the speed at which the market is turning, has shown another steep rise after a steady progression upwards since a year ago. We have incorporated the data from zip codes 91354, 91355 and 91381. Each of the zip codes independently follow the same market trends as we see below. What does the Valencia Ca Real Estate Market Show? With the prices steadily rising this Spring and probably into the Summer, we will probably see many owners of townhomes and condos who have been underwater with their loans, finding some breathing room. With equity in their homes, these sellers will find ways to either refinance at the low interest rates still available out there, OR they will be selling if they want or need to move up to a larger home. This will hopefully also fuel an increase in the demand for single family homes and the Valencia Ca real estate market for single family homes will also continue to blossom for those home owners and potential sellers. Look at Search Valencia condos townhomes for sale, to see what homes are being listed for. What is the value of my Valencia Home? For those buyers asking “how’s the real estate market in Santa Clarita, the answer is that the Valencia Ca real estate market is not being kind to buyers, just as it is not being kind to buyers in most major metropolitan areas of the U.S. Increasing prices are being fueled primarily by the dramatic drop in number of homes for sale. The Valencia townhome and condo market is dominated by first time home buyers, and investors. Investors have cash and are out-competing FHA buyers and those offer with loans. Buyers who saw an opportunity to buy with the lower prices and low interest rates, now see a market place where those low prices are disappearing. Multiple offers create fierce competition among all buyers. We are likely to see this continue. At this time it appears that if you can, buy now. Search Valencia condos townhomes for sale here. The number of homes for sale in Santa Clarita has drastically decreased over the last year or so. So, how’s the real estate market in Santa Clarita? The answer is, median home prices are rising steadily and the days on the market for a seller is dropping. Good news. Interesting to note that the number of closed sales over the past several years has yo yo’d around a fairly “even” line. I might have expected that if it were completely all about a rise in demand the number of sales would have been increasing since at least about July 2012. But it has been somewhat steady. So, is it all about demand, or only about a drop in inventory? Why a drop in inventory? Another blog coming on that. One thing appears to be sure, as the two lines get closer and closer together, we would expect that we are going to see a greater escalation in prices. But is that necessarily the case? Markets also have a way of reacting………..
As that escalation in price occurs, and less home owners are underwater, (national statistics say that 40% of those formerly underwater are now above water) there will be an expectation of an increase in number of homes being put on the market. Will this cause a leveling off of prices? We are beginning to see some leveling off of the inventory and even a trend upwards. Will this trend continue? The next few months will tell. Will investors begin to pull out of the market place if prices continue to rise and and cause a leveling off of prices? Again time and prices will tell. Will the first time home buyers and move up buyers finally be able to jump in without competing against cash offers when investors pull out? Will they then keep those $ values rising with multiple offers still being a part of the market? Will the investors be around for quite some time and still compete with the person actually looking for a home and we see an even greater escalation? Hard to tell exactly what is going to happen as yet and how the market will react, but I do know, there are a lot of buyers out there who have not been able to buy – offer after offer and no success. A shadow inventory of buyers, if you will. All these buyers will have a role to play in how the market trends. The affordability index is still good, interest rates are still low. Buyers are eyeing any home that comes on the market………who really knows how quickly the affordability index may change. But change is certainly in the air. Spring is here and Summer is around the corner…….The real estate Market Activity Index for Santa Clarita is showing to be clearly in the seller’s court with very low day’s on the market and mulitple offers. A lot of potential sellers want or need to move up. As soon as they see a value rise in their home they can work with, they will be on the market. It seems buyers will be there to snap it up! Perhaps we need to hold on to our hats! How’s the Real Estate Market in Santa Clarita? How’s the Real Estate market in Santa Clarita? Information provided in this series of blogs covers “How’s the market?” topics. 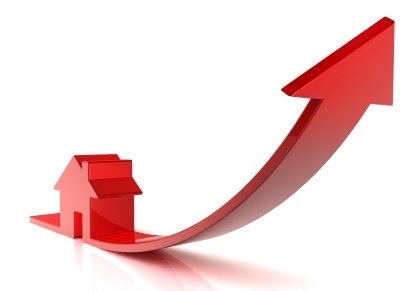 Today we look at how the Santa Clarita real estate market appears to stand at the end of the first quarter of 2013. More and more people have been asking me the question “how’s the real estate market in Santa Clarita” and it’s nice to be able to report good news – a change from the past 5 years of doom and gloom from everywhere! I have been listening closely to what is being spoken of in real estate meetings, the things talked about by my fellow real estate agents, and I have included those comments and my own experience and observations in my analysis. I have also looked at the Santa Clarita real estate market statistics and it seems there is a pattern of real estate observations emerging that is not unlike many other cities in the nation. So let’s get at it! Single family homes only in this blog – condos and townhomes in another blog. Areas included in the numbers are Valencia, Stevenson Ranch,Saugus, Canyon Country, Newhall, Castaic, Agua Dulce and Acton. How’s the real estate market in Santa Clarita at the end of the first quarter compared with 2 years ago? Let’s look at some graphs. One of the first Santa Clarita real estate market graphs we can look at is a graph that shows what has been happening over the last two years, as compared with the last 3 months. We will look at the number of homes for sale on the market as compared with the average number of days those homes were on the market till they sold, for that same month. Doing a market analysis for what the Santa Clarita real estate market has been doing in the last 3 months (first quarter of 2013) shows that not only have the number of real estate listings available to buyers in Santa Clarita real estate market gone down compared with the same periods in 2011 and 2012, the average number of days on the market has also decreased, and quite dramatically. Buyers are increasingly faced with less homes to look at and make offers on, and sellers are finding their homes selling very quickly, in some cases within the same week (this varies according to price range). Buyers with financing problems, credit problems and low money down are consistently being turned away by sellers who are looking at cash offers or high down payments to avoid appraisal problems with increasing prices which have accompanied the inventory shortage. Often long escrow periods waiting for financing to come through are also avoided, helping those sellers buy up for a lower price than a long wait might otherwise create. While buyers facing the Santa Clarita real estate market today may often be paying over the asking price, there is still the lure of great interest rates and an expected increase in equity in their new purchase. Investors have been, and continue to be, a large segment of the Santa Clarita real estate market. Often they are beating out first time home buyers who are frustrated with making offer after offer, month after month with nothing to show for it. This graph indicates that the number of active listings on the market is becoming more consistent and perhaps leveling out. However, we may see an increase in listings next month as the Spring and Summer periods progress. Still not great news for buyers, as experience tells us that while listings may increase at this time of year, so do the number of buyers looking to move into a new home before the next school year begins. It will be tough out there, and a lot of competition. How’s the real estate Market in Santa Clarita for real estate buyers and sellers? It’s great for sellers in the Santa Clarita real estate market! About time! The years since 2008 have been dismal. A great market for buyers too if you can get into a property. Low interest rates and still low prices…..keep trying! The previous graph showed a marked decrease in the number of listings and the number of days on the market over a 2 year period. The following graph shows the same in a little more detail but separating out each of the sectors……from the upper to the lower quartiles of the market. While it is obvious that the Santa Clarita real estate market has treated all price sectors of the market pretty much equally (top priced homes on the market following similar trends to lower priced homes on the market), this graph appears to show a bottoming out of the number of listings available in all categories of homes. There may even appear to be an indication that we may be seeing an increase in inventory available. This probably indicate a change in the seasons as we enter the Spring and Summer markets and the fact that home prices have been increasing and more home owners have equity enough to sell and move. That is a wonderful improvement for home owners of Santa Clarita real estate! How’s the real estate market in Santa Clarita for buyers? The Santa Clarita real estate market may show a small increase in inventory at this time. Does this small increase in inventory at this time help buyers? Probably not a lot since the Spring and Summer period also brings out more buyers and competition remains high none the less. Continued pressure on prices is expected. How’s the real estate Market in Santa Clarita for investors? When one asks the question of how’s the real estate market in Santa Clarita for investors, the question really is – when will investors begin to see the capital gains they have made on their low price purchases and begin divesting themselves of their assets? Or the banks for that matter? Will investors facing the Santa Clarita real estate market hold on to their assets and reap rewards on increased rental prices plus increased equity? It’s still a great real estate market for investors, whether they have already invested or still thinking of investing. Rental values are good and there is pressure upward from potential buyers who cannot buy for lack of inventory. I expect investors will sell as soon as they get a feeling that housing inventory will meet the demands of the number of buyers out there – what we call a normal market. We are not there yet. With the days on the market creating a quicker turnover of listings, and the price of homes rising, I expect to see a higher number of listings on the market as more and more home owners find themselves with equity enough to sell and wanting to move before interest rates and/or housing prices move upward. The Santa Clarita real estate market analysis shows that with pent up demand from first time home buyers and buyers seeking to move into larger housing because of expanding families, (a shadow buyer pool) the days on the market is expected to stay low. (Current market conditions and world events prevailing). Every sector of the Santa Clarita real estate market has seen increasing activity since the mid to end of 2012, the lower sector leading the way. Through most of 2012 most activity increases were seen in the lower price sector but now we are seeing a dramatic increase in the upper three sectors with the lower sector leveling off. Executive and luxury home interest remained low throughout 2012, but a sudden interest beginning in November 2012 and closing escrows since, shows the upper sector buyers suddenly finding a reason to buy as well. Many of the upper sector homes selling for under the price of cost to build. Any drop off seen more recently in the Santa Clarita real estate market probably reflects the low inventory which is now seen across the board. Consumer confidence driven activity is expected to push prices up further as the number of buyers increase during the Spring and Summer months and inventory remains low in comparison. 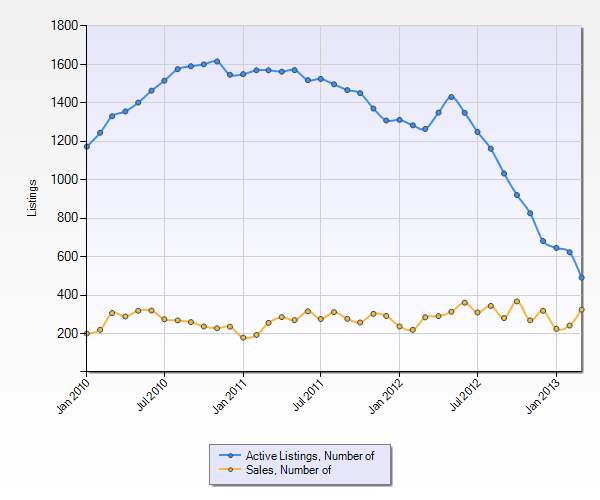 How’s the real estate market in Santa Clarita 2013? The Santa Clarita real estate market is expected to heat up further in the next quarter of 2013. Hold on to your hats!